with the goal of discovering talented artists around the world and supporting their art activities. will be selected and undergo a final review in Tokyo. in Art Olympia website and Art Olympia catalogue. 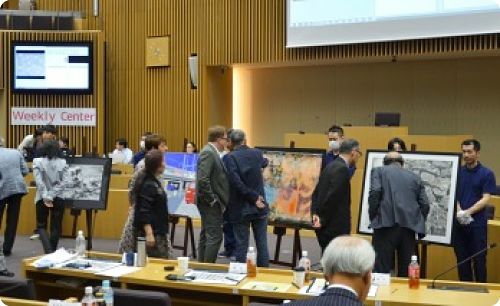 The winning work will be exhibited at Tokyo Metropolitan Art Museum and Toshima City Office. The winner’s name and the winning work will be published in art magazines and the pictorial record. The jury at the two hubs, “Japan” and “overseas” will assess works based on a points system, and will rank them according to the total scores acquired. 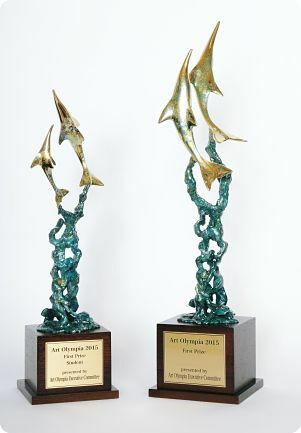 1) Works from two divisions: "Open category" and "Student category" will be judged. 2) A total of 160 works, 80 each from “Japan” and “overseas” will be selected as finalists. The jury consists of Japanese judges and judges from overseas who will be judged by a point system. 2) “Selected works” mean all the works that did not win prizes from among the finalists. *We will publish the scores and rankings of the award- winning works. The Jury's special awards will be given to the works highly rated by each judge.